There were only so many beers I could write about in The Best Beer in the World and only so much space to pick out individual glasses of beer from the travels, meaning many important and wonderful beers didn’t get the space they perhaps deserved. 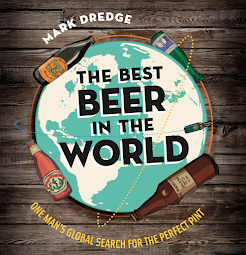 Instead of going in the book, this begins an on-going series of some of the best beers and experiences I’ve had from around the world. It’s just off the Grote Markt, perhaps 40 paces from the Belfry; you take a left and then a right and then you’re there. But I still walked past the tiny alleyway twice before I found it. Here’s a clue: find La Belgique Gourmade and La Cure Gourmade and right between them is a small gap. You could stand directly opposite those brightly-coloured shops and still not see it. But it’s there, I promise. A few meters in and there’s the well-worn steps leading through a cloistered brick doorway and that’s Staminee De Garre, the place you’ve been searching for, a tiny dark bar with just a few tables and a few taps. Order their eponymous house tripel and what arrives a minute or two later, on a paper-doilied tray, is one of the finest-looking beers in the world. A thick whip of Swiss meringue foam on top of just-hazy golden beer, the heavy base of the glass is like a fat door knob, the bowl is as sturdy as the beer within it, a beer powerful in its depth. There’s a fragrant peppery-orangey spiciness, there’s a hot sweetness in there, it’s boozy yet refreshing with the foam giving a smooth creaminess. And the cheese. It comes with cheese. These little cubes are the most perfect little tangy-creamy mouthfuls with that mighty brew. One beer disappears too quickly, leaving its white lace down the glass, and you immediately want another because you don’t want to leave the little bar, don’t want to go back and brave the waves of tourists, don’t want to stop drinking this beautiful beer. Don’t miss this place in Bruges. And I mean that quite literally; don’t miss the tiny little street with the big beer at the end of it. Nice post. Oddly enough I was in de Garre last month. Lovely little place but I had a Gulden Draak instead of the house brew. I got an upstairs table on a busy Friday night. It was brightly lit, noisy, crowded and uncomfortable; the light was too bright to read my paper in comfort and I couldn't concentrate for the sound of American beer tourists holding forth to each other. The beer was boozy - too boozy; it tasted like a golden ale that had had a tequila tipped into it - and it came with peanuts. It did go down very quickly, I'll agree with you there. The Pannepot I had at the Brugs Beertje - that was a beer. My favourite bar in the world. Always my first stop in Brugge. I was there on my 40th Birthday trip and also my 50th. I'm 59 now and I'll be there next year as well. 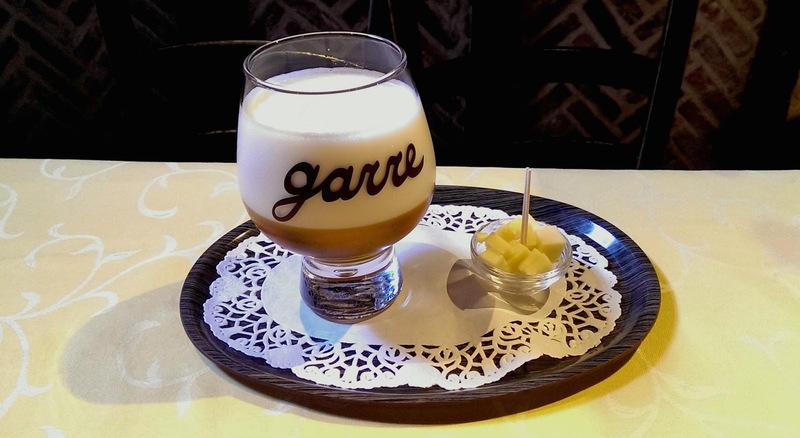 I always enjoy De Garre but I've never got on with the house beer. I think it's made by Van Steenberge and many of their beers have vague boiled sweet note in the back taste that I really struggle with.